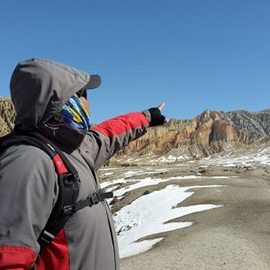 Trek along the Kali Gandaki to Muktinath on the border of Mustang - 10 days Kali Gandaki Valley passing through the deepest gorge in the world and finally emerges to the wide valley of Jomsom, a Himalayan Shangri-la. Beginning the trek from Nayapul after a short drive of about 45 minutes from Pokhara the trail passes over the Ghorepani pass and descends down to Kali Gandaki valley. The view of the first ray of sun touching the pinnacles of Dhaulagiri and Annapurna from Ghorepani is truly spectacular. Along the route, fascinating traditional villages of gurung, magar & thakali will keep you enthralled day after day. 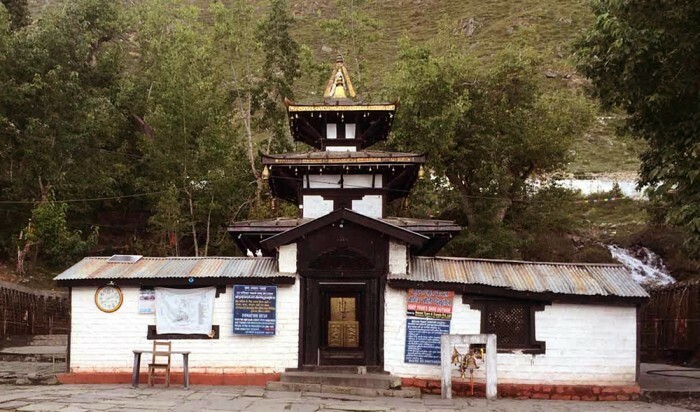 Once you reach Jomsom you can either trek to famous Mukthinath temple ( Temple of Lord Vishnu ) at 3710 meter or explore the fascinating villages around Jomsom. Permits and all the entry fee. You have to take an early morning tourist bus from Kathmandu to Pokhara. bus journey offers awesome view of country side of Nepal . 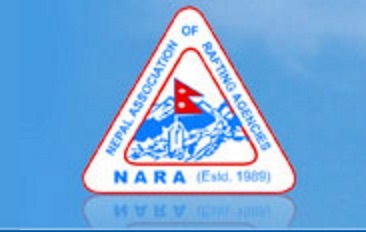 Our staff will receive you at the airport and take you to your hotel in Pokhara. You leave Pokhara by road, driving along the valley of the Modi Khola for about an hour before walking a short distance from the road to Birethanti, a busy village of lodges, shops and houses. You commence your trek with a gradual ascent along the left bank of the Bhurungdi Khola. You then leave the river and follow a trail along the upper edge of terraced fields through Hille to Tikedungha. As you ascend along the path that leads to a forest you will find Annapurna South hidden by a ridge. Beyond Banthanti, there are magnificent forests of oak and rhododendron. After crossing several crystal clear mountain streams you arrive at the village of Nangathanti . Another few hours of trekking through the forest brings you to Ghorepani. Ghorepani literally means "horse water" and it is a popular watering spot for mules which ply this route from Pokhara to Jomsom and beyond. Ten minutes walk beyond Ghorepani is a small pass and the village of Deorali . You begin to trek along the trail that follows the wide valley of the Kali Gandaki, passing through Khobang and Tukuche. Yet again you get to sightsee narrow alleyways and houses built around enclosed courtyards as a protection against the unpredictable wind of the Kali Gandaki gorge. The trail further meanders through stone-walled orchards. Soon you will come across a stone gate that marks the entrance to Marpha. You can spot several white-walled houses. Marpha has well-maintained drainage system and is most popular for its local apple brandy. 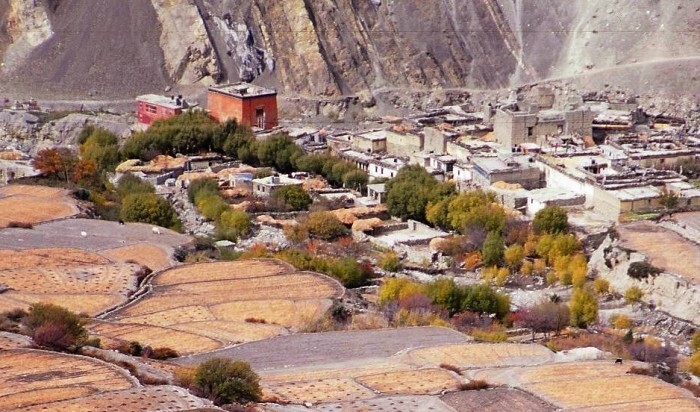 After lunch in Marpha, you continue trekking towards Jomsom. After breakfast you resume your trekking along the path up the vast gravel riverbed of the Kali Gandaki. You come across a stream and verdant vegetation. On crossing a small ridge to Chhancha Lhumba at 2730 meters, you continue heading towards Muktinath. 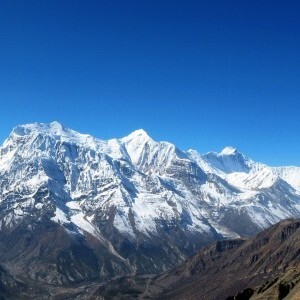 Dhaulagiri and Nilgiri dominates the view as you ascend to Khingar (3200 meters). More meadows, streams and lush vegetation can be seen along the trail as it paves to Jharkot (3500 meters). You encounter the ruins of the Dzong and pristine villages of Purang and Changur. As you trek past mule stables and steep barren hillside, you enter Ranipauwa. Ranipauwa for years has remained an ideal resting point for pilgrims and travellers. After a well deserved rest and relax from your trek it's up to you to decide what would like to do today in this adventure capital of the Pokhara Nepal. Today drive back to Kathmandu after breakfast, by tourist bus. Along the way you can enjoy with good scenery views of Marshyangdi river and trishuli river . You'll be arrive at Kathmandu late afternoon.If you want to do a little bit shopping and you still have couple hours today. After breakfast we will drop you to international airport for fly home.